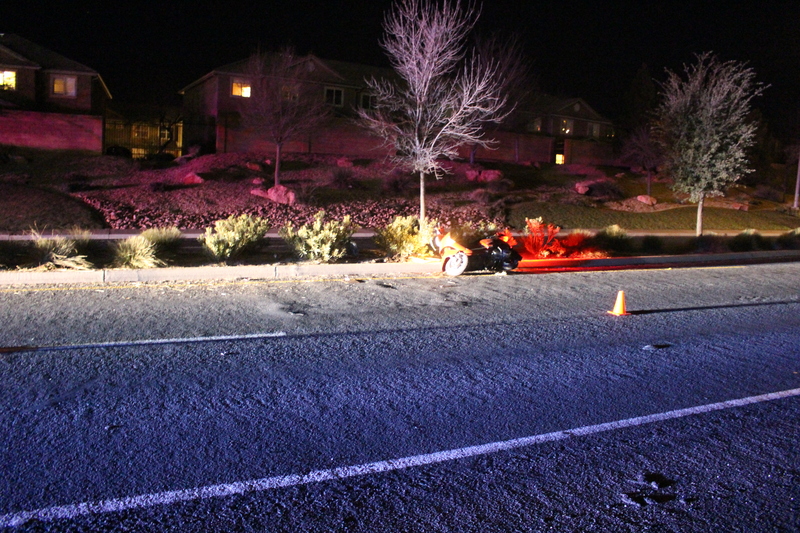 ST. GEORGE — A woman was hospitalized Friday evening after she crashed into a median on a motorized scooter. Police responded to the scene of the crash on Brigham Road near its intersection with 840 East in St. George at approximately 7:24 p.m.
“For unknown reasons at this time, she veered off the road … she collided with the median, tumbled a few times, came to a rest,” St. George Police officer David McDaniel said. The scooter driver, a woman in her 60s, was westbound on Brigham Road when she crashed. Emergency medical personnel transported the woman to the hospital for treatment. No impairment is suspected, McDaniel said, and no citation is expected to be issued. The scooter was impounded for later release to the patient. Traffic was slowed but unimpeded as officers directed cars around the scene of the crash. 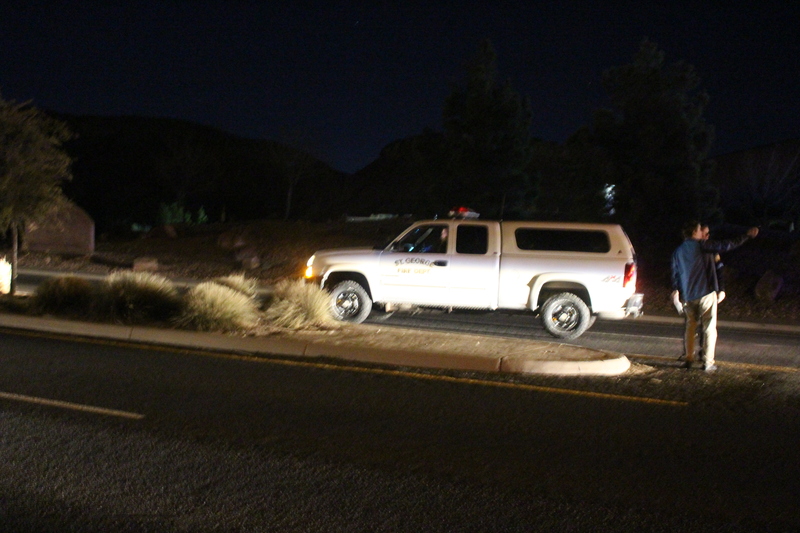 St. George Fire Department also responded to the incident. I’ll bet she was not texting, being in her 60’s and all. It’s hard to text if you are holding the handlebars… But, seriously I wish her a speedy recovery. Old bones heal slowly. Yes Wilbur, I’m in my 60s and don’t text either. Good one, though!